Apple has just introduced new iMac in the market supported by 8th and 9th generation iMac intel core processors. These iMac have powerful increased graphic options. They have now fast computing and graphic performance. The consumers as well as the professionals will notice fast technology in their everyday task and The features doesn’t stop here because the new iMac is filled with tremendous qualities such as smart retina, sleek design, operation, large memory and fast storage, connectivity options and MacOS Mojave. These features make iMac the worlds best desktop computer. Apple iMac have updated processors giving customers fast performance in everyday’s tasks which means you can edit professional photos and play awesome demanding games, and even create and also compose music. The 21.5 inch iMac starts at 1299$ us featuring 8th generation quad core and 6 core processors, providing upto 80 percent faster graphic performance which gives 60 percent faster performance. This has 8 GB RAM and 1 TB Hardrive. 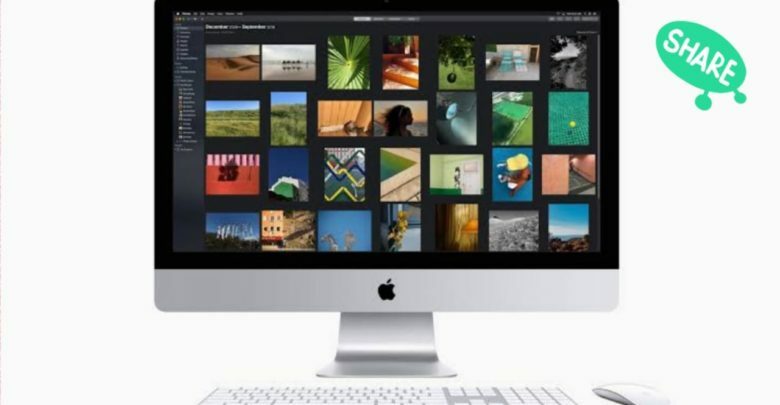 The 27 inch iMac is starting at 1799$ us featuring 9th generation 6 core processors providing 2.4 times faster performance and 50 percent faster graphics performance. This iMac also has 1TB Fushion drive. These iMacs have Radeon pro vega technology. Which is not available in any base iMac . The iMac have hard drive into fusion drive enclosure. So iMac can be configured upto 2Tb capacity and also the 2tb is only supported by solid storage. Apple doesn’t have a Driver support in the fusion drive. However, 8th and 9th generation iMac 4K and 5K retina Displays are supporting new iMac and Amazing font on screen experience is given by the immense retina displays, Full large resolution and to edit 4K videos and it all will be available in the new iMac. So These iMac have the best retina display with great screen experience . Apple is on top in innovation of iPhone,iPod,iMac, apple tv and apple watch. With it’s increasing innovative technology sky is the limit.